Roxana Saberi: Caught 'Between Two Worlds' The Iranian-American journalist was imprisoned in Iran, interrogated, tried and eventually released. But the controversy continues. Saberi says she confessed to her crimes in order to get out of jail but asserts that she did nothing wrong. 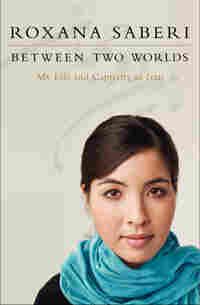 Her new book Between Two Worlds is an account of her time in captivity. After 100 days in Iran's Evin prison, journalist Roxana Saberi was freed on May 11, 2009. At 9:00 a.m. Jan. 31, 2009, journalist Roxana Saberi's doorbell rang. She looked at her security system and saw a man standing on her front porch. The man told her he had a letter for her, so Saberi assumed it was the mailman and opened the door. "He handed me a slip of paper, and I couldn't make much sense of it," Saberi tells Terry Gross. "I just saw on the piece of paper the word 'Evin.' And my heart started to beat because I knew Evin prison, the most notorious prison of Iran — and I said, 'Please, can I just have a moment to take a look at this because my Farsi isn't very good?' and I tried to shut the door, but I couldn't because his foot was propping it open." A native of Fargo, N.D., Saberi had been working for six years as a freelance reporter in Iran. She watched as the man and three associates forced their way into her apartment and confiscated many of her belongings. "They kept saying 'Cooperate. Cooperate and you'll be fine. And if not, we'll have to take you to Evin prison,' " Saberi says. "I learned later that their definition of 'cooperate' was to confess that I was a spy for America, and specifically that the book that I was writing about Iranian society, they claimed, was a cover for spying for America." Saberi spent four months in Evin prison, which she recounts in her new memoir, Between Two Worlds: My Life and Captivity in Iran. Before Saberi was freed last May, the Obama administration negotiated for her release, calling the charges against Saberi "baseless." She was released to her father after being convicted of spying for the United States in a trial that accused her of "cooperating with a hostile state" and copying top-secret documents. "I didn't have any classified documents," Saberi says. "I had a research article that was public information, but my captors lied and claimed I had a classified document, evidently to pretend that there was legitimacy to my case. And they tried to make me think that the research article I had was classified." While in custody, Saberi was told by her interrogators that if she did not confess to crimes of espionage, she'd be sent to prison. "I was under intense psychological pressure," she says. "They threatened to keep me in prison for many years. My interrogators said, 'We can keep you in prison for 10 years, 20 years. When you come out, you'll be an old lady. Can you imagine what you'll look like?' And they also reminded me that espionage can carry the death penalty. And then they started telling me that, 'We have agents all over the world. You've seen how capable we are — we can even find your family.' "
Saberi says she falsely confessed and almost immediately recanted her statement — even though doing so could potentially cause her to lose her freedom. "I felt horrible," she says. "I felt I had lost my dignity. I felt I had lost principles of truth and honesty that I had always hoped that I would be able to live up to even under pressure." After Saberi recanted, she was tried and sentenced to eight years of prison. That sentence was later reduced to a suspended two-year term. Saberi says she believes she was singled out by the Iranian government because of what she represented. "I knew that this was the way, after the Iranian Revolution, that political prisoners had been forced to give confessions implicating themselves and others," she says. "Not everybody is forced to give a confession, but it's usually somebody who symbolizes something like an ideology or a group or a country — like me." I sank my head into my flannel-covered pillow and pulled my down comforter over my cold ears. It was the last day of January, and more than five weeks had passed since Gholam had promised to send the handyman, but still my heater was broken. Most mornings, I was awakened by the sounds of hammering, drilling, and sawing, as construction workers erected one new apart­ment complex after another in my upper-middle-class neighborhood. But on this Saturday, the first day of the Iranian workweek, the only sound that reached my ears was the ticking of my clock. My eyes turned toward it: 9:00. I flinched. So it was the doorbell that had woken me up. I rolled over and closed my heavy eyelids. I wasn't expecting any visitors. Someone was probably mistaking my doorbell for a neighbor's on the console downstairs as usual. If I got up to answer it, I wouldn't be able to fall back asleep. Brain won't function if don't get eight hours of sleep. Whoever it was obviously wasn't giving up. I stumbled out of bed and across my living room. The monitor on my video door phone was lit up, displaying a black-and-white image of an unfamiliar middle-aged man. "Yes?" I asked in Farsi. "Miss Saberi?" the man inquired with a friendly smile. It was a mailman, I realized. "Could you bring it up, please?" I was too groggy to go downstairs. "I'm on the fifth floor." I buzzed open the door to the building, then dragged myself back to my bedroom, put on a white headscarf, and slipped a knee-length black roopoosh over my pajamas. A light rap sounded at the door. I opened it just a few inches. The mailman was standing there with an indecipherable smile on his face and a piece of white paper in his fist. Saying nothing, he handed the paper to me through the crack. I ran my eyes over the last line again. My heart began to pound. This Tehran jail was notorious for hav­ing held Iran's most famous political prisoners, including students, academics, and activists. Torture was common, and hangings and a mass execution had taken place there. In 2003, Iranian-Canadian journalist Zahra Kazemi was detained in Evin and shortly after­ward, died suspiciously. No one had ever been held accountable for her death. "Excuse me," I said to the man at my door, attempting to conceal my mounting fear. "I don't read Farsi very well. Could you give me a moment to look at this more carefully?" I tried to shut the door but couldn't. He had propped it open with his right foot and was now sneering at me. "No," he grunted, forcing the door open just as three other men filed out of the elevator behind him. I shuffled a few steps back in horror as they pushed their way into my apartment and quietly shut the door. Two of them had the same look as the "Mailman": middle-aged, with scruffy beards and untucked shirts hanging over dark trousers. The third was well groomed and younger, perhaps in his early thirties. No doubt about it — these were Iranian intelligence agents. "Did you just wake up?" one of them asked in Farsi, as he glanced at my pajama pants sticking out of my roopoosh. Before I could answer, another remarked, "Yes, she goes to sleep late and gets up late." I turned to look at the agent who had just spoken, shaken that he knew my sleeping patterns. He was the youngest member of the group, a clean-shaven man who didn't fit the typical intelligence-agent pro­file. Wearing blue jeans, a black leather jacket, and hard-soled shoes that clicked as he strolled across my tiled living room floor, he could have fit right in with the youth — or javan — of northern Tehran who often had a Westernized look. "Javan" (who as an agent would never disclose his real name) surveyed my living room with indifference, except for a faint look of disgust when he spotted my chador draped over the piano. "Do you know why we're here?" the tallest man said, fiddling with a set of tasbih, or prayer beads, in his right hand. I opened my mouth to respond to "Tasbihi," but no words came out. "We have the right to interrogate you," he said evenly, without waiting for a response. "And if we are not satisfied, we can take you to Evin Prison tonight." This had to be a very, very bad dream, worse than any nightmare I could remember. "Don't worry," Tasbihi continued, flashing an unsettling grin. "If you cooperate, you'll be back home this evening. Just do as we say, and don't leave our sight." I wanted to make a dash for either my phone or the door, but all I could do was nod. I recalled what I had heard about Zahra Kazemi. As the story went, she had been arrested after taking photos of some prisoners' families outside Evin and then responded defiantly to her interrogators. Hard-line authorities initially tried to cover up the cause of her death and later said she died from head injuries resulting from an "accident." But according to a doctor who said he examined Kazemi's corpse and escaped Iran to disclose his findings, the journalist had been raped, her nose broken, and her skull fractured. She might have made it out all right, an Iranian official had once told me privately, if she hadn't resisted. The four men started sifting through my belongings in the living room. The Mailman was packing up my laptop and flash drive. Another was tossing some of my notepads into an empty garbage bag he had taken from my kitchen. "You'll get all these back later," Tasbihi told me, as I looked on, frozen in place in the middle of the room. "We just need to do a little research first." Javan began scanning the titles on my bookshelf. A few books were in Farsi, including two or three written by the leader of Iran's Islamic Revolution, Ayatollah Ruhollah Khomeini. The agent skipped over these, as well as my favorite classics in English, such as Plutarch's Lives, and turned to other texts I had brought from America. Many had to do with Iran, the Middle East, and Islam. "I'm impressed, Miss Saberi," he said with obvious sarcasm. "You are quite a scholar! What do you do with all these books?" "I've collected them over the past six years I've been living here," I heard myself say, "and now I'm using some of them to research a book I'm writing about Iran." As if he didn't know already. I had always assumed the authorities knew about my book, which was an independent project I had openly described to the dozens of Iranians I had interviewed to ensure the regime would realize I had nothing to hide. Javan didn't say anything and continued to peruse my small library. He paused with interest when he came to two English-language books covered with portraits of Iran's hard-line president, Mahmoud Ahmadinejad. "What are these about?" he asked. They were ordinary books about Ahmadinejad and his policies, I replied. He threw the books into the trash bag, which was by now half filled with the spoils his colleagues had collected. Then he spotted my cell phone on the kitchen counter and stuck it in his pocket. The four men made me move on with them to another room, where they dug through my desk and file cabinet. They confiscated several music CDs, old videotapes, and bank statements. When the Mailman came upon my American and Iranian passports, he smiled triumphantly. I felt my knees weaken and had to lean against the desk to steady myself. Without these documents, I wouldn't be able to leave the country. And with no U.S. Embassy in Iran, there were no American officials here to help me. "Don't worry," Tasbihi said, echoing his earlier words. "Cooperate with us, and you'll get these back later." But I was more than worried. I was frightened, bewildered, and furious: frightened at the prospect of landing in Evin Prison, bewil­dered by the presence of four strange men seizing my belongings, and furious at this violation of my privacy. My eyes followed the agents as they combed through some note­books from my college days that I referred to for journalism tips and background on international relations. One of the men began pulling dusty papers and folders out of the closet. He sneezed. I had meant to throw out that useless stuff, but I had procrastinated. Meanwhile, Javan was peeling two photos, one of Bahman and the other of my family, off the wall. He dropped them into a fresh garbage bag. Then the men made their way to my bedroom where, speechlessly, I watched them rummage through my closet and dresser. "Change into your regular attire," Javan ordered me, after the agents declared their search complete. "We're taking you elsewhere for interrogation." "Why?" I asked. "What do you want from me?" "Just cooperate," he said curtly. Cooperate. I had no idea what kind of cooperation these people were talking about. The men left me alone in my bedroom with the door open a few inches. I looked out my window. I wished I lived on the ground floor. From this height, I couldn't expect to survive if I jumped, and I had neither enough guts nor enough bed sheets to swing my way down to safety. My impractical plots unraveled with a knock on my door. It was one of the men, telling me to hurry. I changed into jeans and a T-shirt and put on my wristwatch before throwing on my hejab again. The four agents escorted me out of my apartment, lugging their loot with them. The hallway was eerily quiet, just as it had been when they had entered two hours earlier. Usually my neighbors or their kids were coming or going or socializing there. Maybe they had seen the agents and were nervously peering through their peepholes from the safety of their apartments. I thought of screaming for help, but I knew that no one would dare interfere with these men, who were undoubt­edly armed. I was instructed to sit in the back of the first of two white Peykans, with the Mailman beside me and Javan next to the driver. As we got onto the highway and headed toward central Tehran, I stared numbly out the window. The scenes were so familiar, yet they seemed other­worldly, as if I had fallen into a horrible fantasy. If only I had known a few hours earlier what was in store for me today. I hadn't realized until I had climbed into bed at four that morning how exhausted I was. My weariness stemmed from having sat at my computer for hours that night and from a growing uncertainty about my future. During the previous few weeks, as the date of my departure from Iran had rapidly approached, I had lost much of my usual sense of optimism as I came face-to-face with questions I had been trying to ignore. What will come of my book? I had wondered. I hadn't even found a publisher yet. And what will happen to me once my book is finished? As a journalist in Iran, I felt I had discovered some purpose in my life through my work by providing news coverage from a country where few foreign journalists could live and operate. That was why, when Iran's Culture Ministry pulled my government-issued credentials in 2006, I felt a sudden emptiness. I had lost not only my press pass but also a large part of my identity. A few other dual-national journalists before me had been forced to give up their credentials, and many foreign journalists had seen their visas either revoked or not renewed. The situation had worsened after Ahmadinejad was elected president in 2005, replacing a reformist administration with hard-liners. Iranian officials gave me no clear reason for their decision to pull my press pass, although they hinted it was part of a larger effort to restrict the Western media from reporting in the country. From Between Two Worlds: My Life and Captivity in Iran by Roxana Saberi. Copyright 2010 by Roxana Saberi. Reprinted by permission of HarperCollins. All rights reserved.